Here in the OZ we might not do Halloween quite as well as the US. 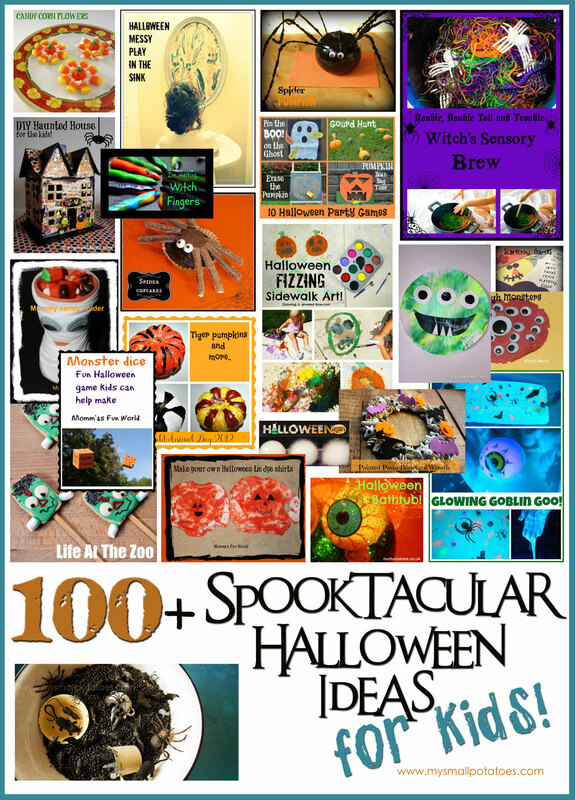 But here are some amazing ideas to help you get into the Spooktacular Spirit! Remember yesterday when I asked you to stay tuned for some upcoming Halloween ideas? Well, they’re here. I hope you’re ready to have your mind’s blown. Seriously. You’ll have enough to do for the next 5 Halloweens! At least. You see, I have some other kid-blogger friends out there in the world. They are super awesome and ALWAYS willing to share ideas. Running a blog like this is not a one woman show…no siree. I need help and I need it often. When I asked my kid-blogger friends to contribute to a Halloween Round-Up, they came in droves. And they came armed with some pretty cool stuff.